I know Movistar looks scary, but I think Sky can match them. Gonna be amazing Tour I feel. Considering the madness of the Tour and the first week I think it's super likely Movistar will be down to 2 or even 1 leader by 3rd week. And Sky most likely as well. Well, maybe.. If Bernal is at squad. Poels was scheduled to ride both Giro and Tour. He did perform great on the Tour of California. Not sure if he's ready to be in the TDF squad, but he's at least well underway. As good as Seb is there's too much other talent at Sky to make the TDF team this year. I expect he'll ride the Vuelta and we can see if he develops into a rider who they would take to the TDF next year. Would be the first time in years they are not bringing Rowe to the tour, but that could then also be a consequence of the reduced team sizes. I think Rowe is more likely, he already is a trusted lieutenant and road captain, I don't think Van Baarle has done anything to warrant a spot over Rowe. Or they will have imploded by the 3rd week. Bahrain will be actually unified behind Nibali and should also have a strong team. Nibali will have the Izagirre brothers with him. With Movistar's 3 leaders it's likely that at least Landa and Quintana could end up attack each other. In that case the rest should just sit back and watch. Officially confirmed Dauphine squad: Castroviejo, Hart, Thomas, Kwiatkowski, Moscon, Rowe, Van Baarle. Let's hope Bernal will start in Suisse and kick some Movistar's asses. Team Sky has just presented their kits design for TdF 2018. Well IMHO orca should be replaced by.. shark. 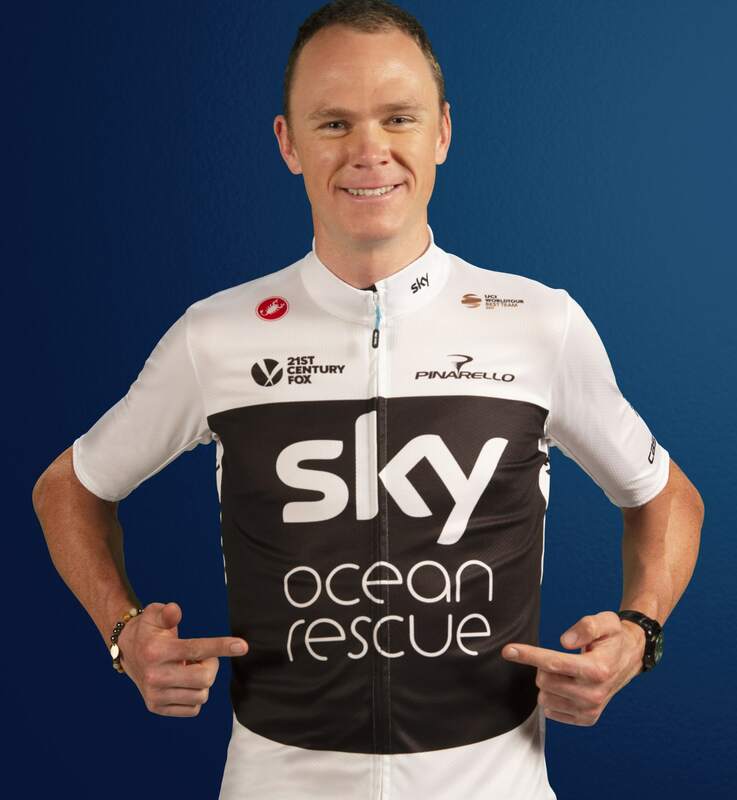 "Team Sky has joined the Sky Ocean Rescue journey by unveiling a new kit design for the upcoming Tour de France – and pledging to remove all single-use plastic (SUP) packaging from its business operations by 2020. The new kit design will be worn by Team Sky at the Tour de France (July 7th-29th). 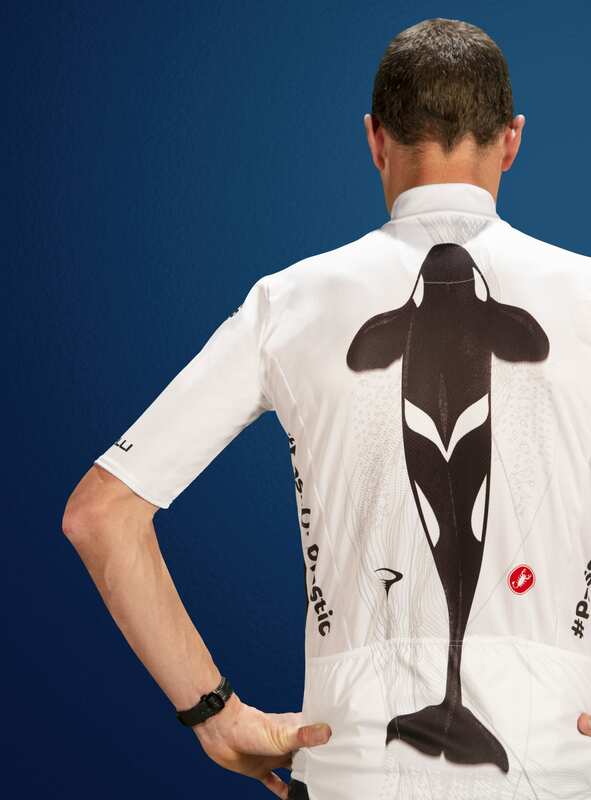 It has been designed to help the team stand out in the peloton, with orcas featuring on the back of the jersey." That one goes straight into the pantheon of hideous jersey, along with Castorama, Footon and Domina Vacanze.